Sammie Wood has a special reason for wearing a yellow ribbon in her hair. Photos: Jaye Grieshaber – Jayzie Photography. It is easy to pick out Sammie Wood on the rugby field, thanks to the yellow ribbon tied into her hair. 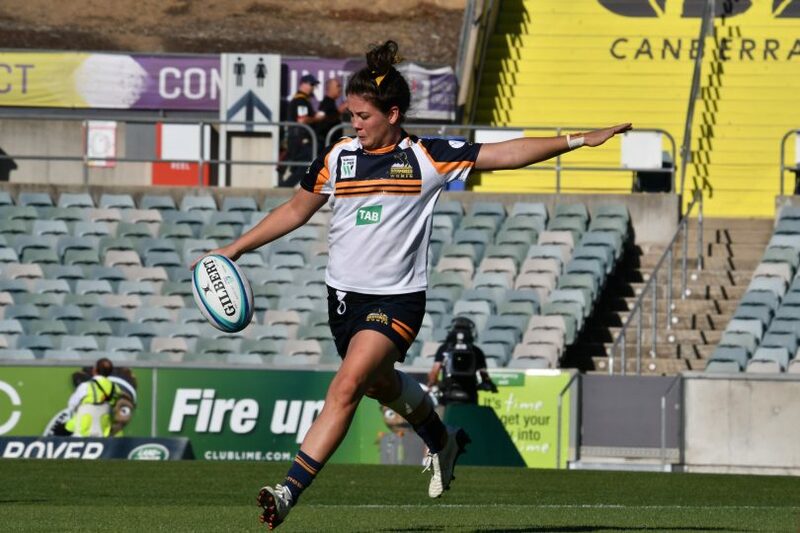 The Brumbies Super W player and former W-League footballer has worn a yellow ribbon during games since she was 10 years old. Originally, it was so her greatest supporters, her late grandparents, could easily spot her on the field. 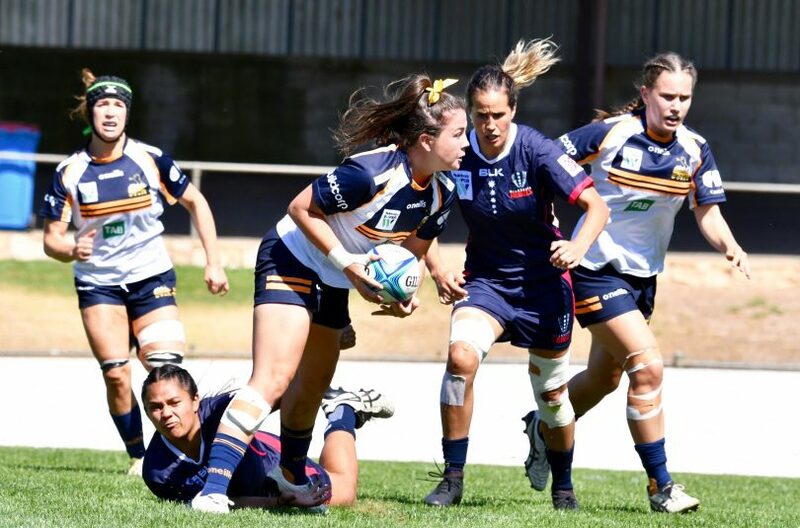 It was her nan and pop who would take her to her matches and practice every weekend, and now, even though they have both passed away, Wood is keeping the tradition alive and has even started handing out yellow ribbons to girls after every Brumbies home game. “I brought the tradition over to Super W but I have really thought about wearing a scrunchy or not to wear a ribbon at all but I just can’t run on to the field without having one in my hair,” she shared with Region Media. She has also discovered that her yellow ribbons are proving an inspiration for those young girls. 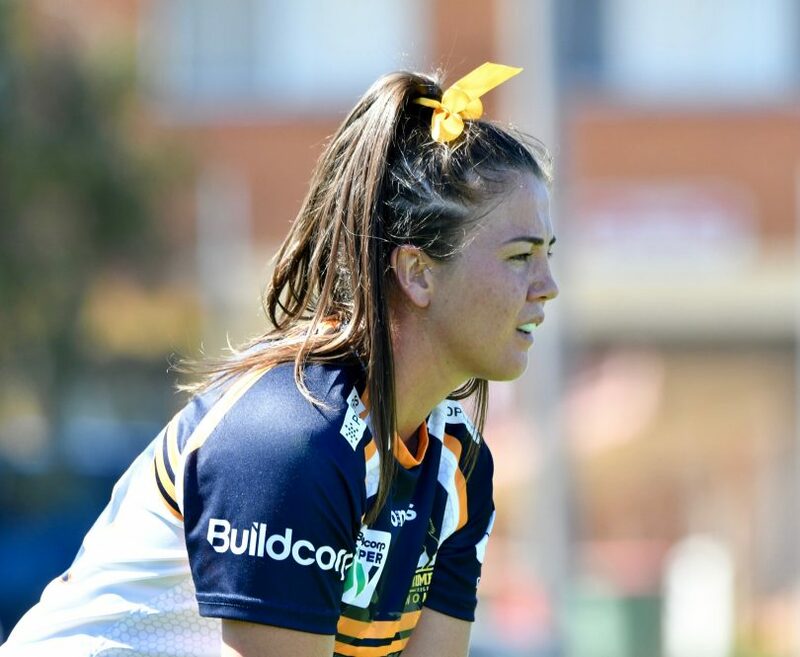 When 17-year-old Grace Kemp turned up to trial with the Brumbies earlier this year, she approached Wood to show her the yellow ribbon in her hair. “When Grace turned up to trials and asked me if I liked her ribbon, I was like yeah it’s cool,” Wood said with a laugh. “When she told me that I gave it to her last year, I was gobsmacked. Wood didn’t realise her yellow ribbon was inspiring girls to join the sport. Wood’s CV is nothing short of impressive: as a footballer she has represented Australia at the Youth Olympics, played for the Under 20s Matildas in World Cup qualifier, had a W-League career with Canberra United and Newcastle Jets, was a squad member in the inaugural Country rugby league squad for the City-Country women’s origin, captained the University of Canberra’s sevens rugby side and is now in her second year of playing Super W for the Brumbies. But for the little girl growing up in the rural NSW town of Grenfell, sport was only a reason to spend less time in school. “I was bullied in school so I played sports to get me out of school for the day,” Wood said. “I didn’t really have a desire to play, I just knew I wanted to be active. Despite her blossoming success as a footballer, there was something in Wood’s heart that said she should give up the round ball game and play rugby union. “I wanted something different. It took me six years to figure out that I wanted to be a teacher and I still don’t know what I want to be when I grow up,” she said. Wood now wants to instill a go-getter attitude in her students. Now a primary school teacher in Canberra, Wood is instilling in her young students the importance of never giving up on what you want to do. She points to the bruises on her legs as a sign that you can achieve whatever you set your mind on.